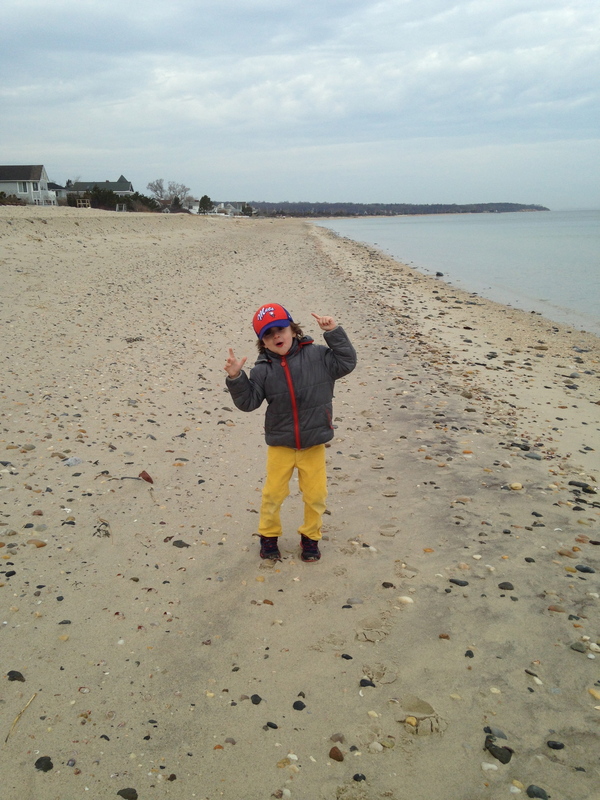 We just came back from a nature walk on our beach determined to collect many of the species of shells that we learned about the other day at the South Fork Natural History Museum the day that we found Treeline Tree Nut Cheese. We cross referenced our shells with our Beachcombers guide and this is what we found: oysters, clams, jingle shells, a mussel, a moon snail, scallops, snails, and a sand dollar. 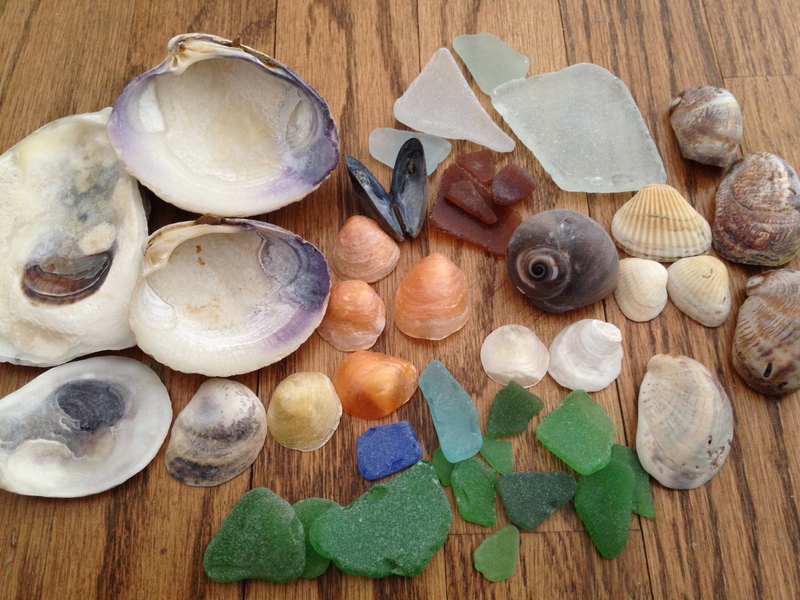 Of course, we found some great sea glass for our collection. We feel so educated now and once again in even more awe of Mother Nature. What beauties these little shells are! 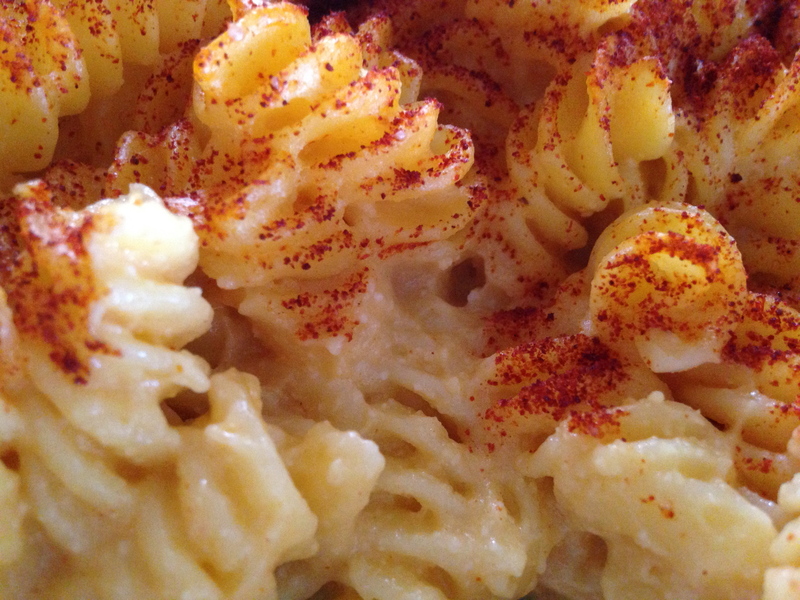 With all of that walking, we needed a big, satisfying lunch and this, the famous mac ‘n cheese recipe that VegNews says “is the best mac ‘n’ cheese on the planet. End of story” delivered. With ingredients that are recognizable by everyone – none of the typical vegan mac ‘n cheese ingredients like nutritional yeast or cornstarch – this recipe is accessible, non-intimidating and super easy. I made it right before we left and popped it in the oven when we got back. I almost followed the recipe exactly. I left the bread crumbs off the top and sprinkled mine with lots of paprika instead because that is what my mom used to do when we were little. I also left out the black pepper. I figured the cayenne would give it enough of a kick for me and boy, did it. I am a light weight! But if I were to add pepper, I would use white pepper anyway. The original recipe calls for 2 teaspoons of salt! What?? That is way too much in my book so I added a big pinch. Also, I made this in my Vitamix and I had to add 1/4 cup of water to the Earth Balance mixture to get it going and it still didn’t really go until I added the vegetables. Plus, I was a little concerned about the potatoes because I have been known to turn potato soup into starchy glue in my Vitamix. So, I only let it go for about a minute on a low setting and the sauce turned out perfectly creamy. The result? A nice crispy top and a creamy sauce with a kick! It is a definite crowd pleaser and a good dish for those non-vegan believers in your life. Check out the recipe and make it for yourself! This recipe screams for mise en place so peel, chop and measure. Get the pasta going and preheat the oven to 350. Place the shallots, potatoes, carrots, onion, and water into a pot and bring to a boil. Cover and simmer for 15 minutes or until the vegetables are very soft. Add the cashews, salt, garlic, Earth Balance, mustard, lemon juice, cayenne and paprika into the blender or Vitamix and process. Add a little water to get it going, if necessary. Add the softened vegetables and cooking water to the blender and process until perfectly smooth. 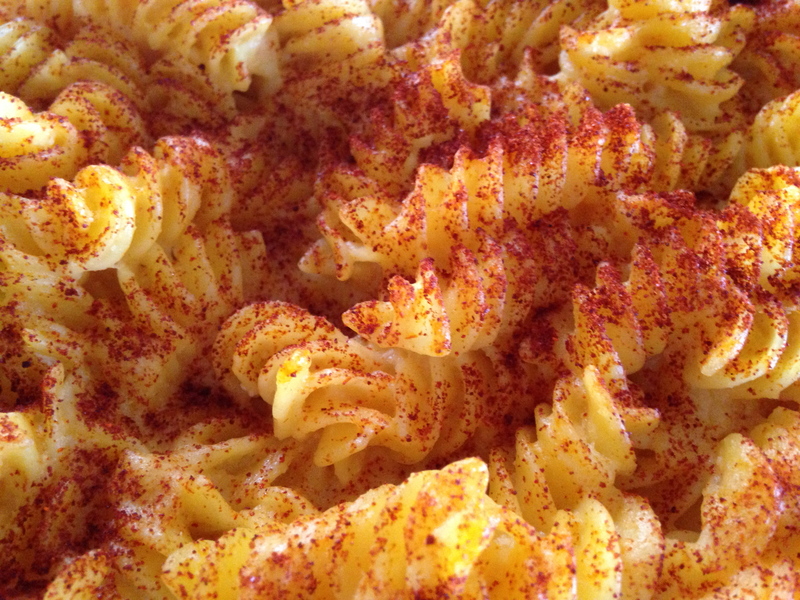 Drain the pasta and toss with the blended cheese sauce until completely coated. Turn the mixture out into a 9 x 12 casserole dish and dust with paprika. Bake for 25 to 30 minutes. Enjoy!